How Much Money Should You Invest in a Mutual Fund? An increasing number of American investors have begun to put their hopes into mutual funds as investment vehicles for retirement and other financial goals. Mutual funds do not come without a certain amount of risk, but they offer a lot in the way of diversification and professional management. Knowing the basics of this type of investing will help you decide how much money you should invest in a mutual fund and how to choose the right product. A mutual fund is an investment company with pooled money contributed by hundreds of thousands of different investors. The money is used to construct a diversified portfolio of investments in bonds, stocks, short-term money-market assets or some combination of assets and securities. Each share you own of a mutual fund, represents your proportionate ownership interest in the fund’s holdings (portfolio) and the income generated. The majority of mutual funds require a minimal investment amount to get started, ranging from $200 or $300 to a few thousand dollars. Mutual funds come in a variety of types and comfort levels for risk. Examples of stock funds include growth funds that invest primarily in up-and-coming companies; sector funds that primarily invest in companies within a particular sector of the economy, such as health care or technology; and index funds that invest in every type of stock in a specific market index, such as the S&P 500. A number of bond funds with varying risk levels are also available to investors, such as government bonds which are one of the safest investments; high-yield bonds (junk bonds) offer a high-risk investment if you like to gamble; and municipal bond funds. Before deciding how much money you should invest in a mutual fund, examine the risk level of the particular fund’s investment portfolio. Mutual funds have a few characteristics that distinguish them from other types of investment companies. Shares in a mutual fund are bought directly from the fund manager or a broker, rather than an exchange, like the New York Stock Exchange. The price you pay for mutual fund shares is called per share net asset value, plus any applicable fees imposed at the time of purchase. Mutual fund shares are redeemable, which means you can sell back your shares to the fund, and shares are generally sold on a continuous basis to accommodate new investors. Lastly, the investment portfolios are usually managed by investment advisers who are registered with the U.S. Securities and Exchange Commission. 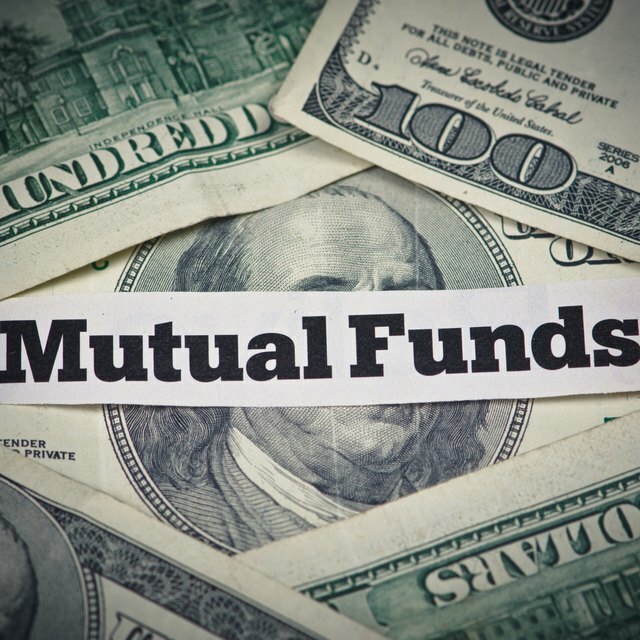 Mutual funds offer a very affordable investment vehicle, with relatively low dollar amounts necessary for initial purchases, subsequent purchases or both. If you conclude you do not have much money to invest in a mutual fund, even as little as $50 every month can add up quickly through compounding. Investing in a few different types of funds to diversify your portfolio, will better protect your investment against poorly-performing stocks. Another investment strategy with mutual funds is known as dollar-cost averaging, which entails putting one-twelfth of your investment money into the market on a monthly basis for one year. Money Central: How Much Money Should You Invest?